Due to the close similarities of the Fujifilm Instax camera series, making a decision on the series to buy can be really difficult. They all have similar features and perform similar functions with minor differences. Except with a very close look, one may not be able to point out these differences. Of course, I’m not talking about differences in shapes, sizes, and colors- those are easy to point out- we are more concerned about little variations in features and performances. 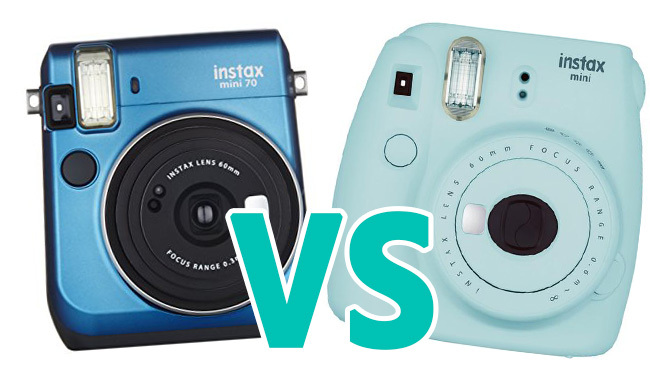 There are lots of these differences in the Instax mini-series and we have taken a good look at two cameras from the Fujifilm Instax series – Instax mini 70 and mini 9 to write a review of both by comparison. In this article we have taken the diligence to study both cameras in all aspects – build, durability, lens type, performance, ease of use etc to write an excellent review for both. 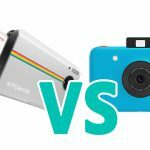 If you are finding it difficult deciding on which of the series – mini 70 or mini 9, to purchase, then this review is for you. 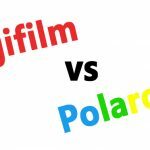 The hope of this review is to bring out the similarities and differences between both cameras and help you decide which will best suit your needs. 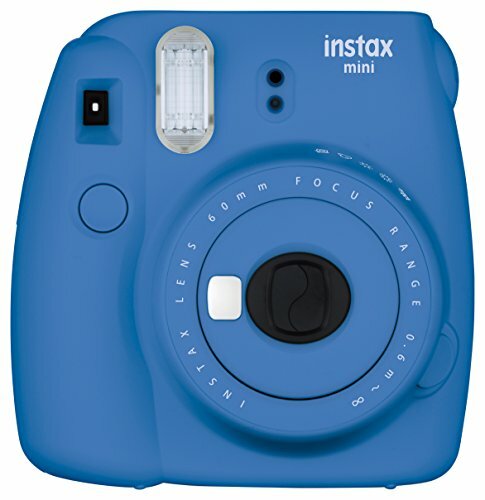 We will start this Instax mini 70 vs Instax mini 9 review article by briefly giving you an overview of each camera and then towards the end sum up the pros and cons of each. Like the saying “pictures speak a thousand words” we have outlined the features of each of the cameras in a table to give you an easy means of comparing both. So let’s get started. 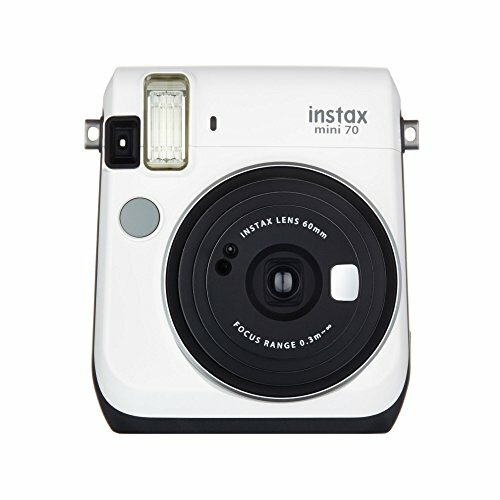 The Instax mini 70 is built with the same simplicity and style as all other Instax minis though with little variations. It doesn’t have much in the way of features that we should hype but it sure is a fun party camera. This camera is made with fun in mind. The mini 70 emphasizes simplicity without the advanced functionality of the mini 90. The lens of the camera comes out when activated and retracts when deactivated to make it more compact. There’s also a little mirror by the side of the lens to make taking selfies easier. Apart from this selfie mirror, all that you can find on the front of the camera is shutter button, flash and Instax logo. Like the mini 90, the slot that prints out your photo is found at the top of the camera. Allow the photo to come out of its own accord and don’t try to pull it out. The back of the camera is where you can find the opening for inserting your film roll. Above the film opening, you will find the viewfinder, a small LCD display screen, and some control buttons. The control buttons are mainly for adjusting flash, mode etc. 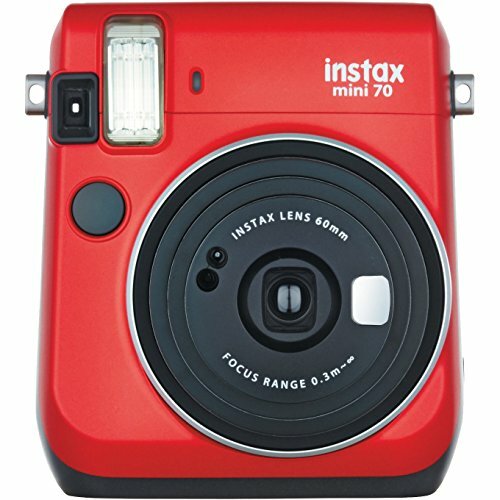 The mini 70 does not have any autofocusing features instead it has infinity focusing. The mini 70 is pretty much a point and snap camera that you have little control over what object it focuses on. The build of the Instax mini 9 is very similar to the mini 8. The body is almost square in shape, but the edges have been tapered to give it a rounded edge with good grips. Due to this rounded shape, you can hold and orient the camera in any way you want. At the front of the camera is the protruding lens. Beside the lens and close to the top, you’ll find the flash and selfie mirror. A little below the selfie mirror is the shoot button. The back of the mini 9 cameras is almost plain except for the large door for you to insert your film and the rangefinder to look through. At the top of the camera, is a large slot for your film to print out. The mini 9 camera is quite a straightforward camera. Although it has a toy look to it, it’s still loved by most people. Both cameras have a retractable 60mm lens. 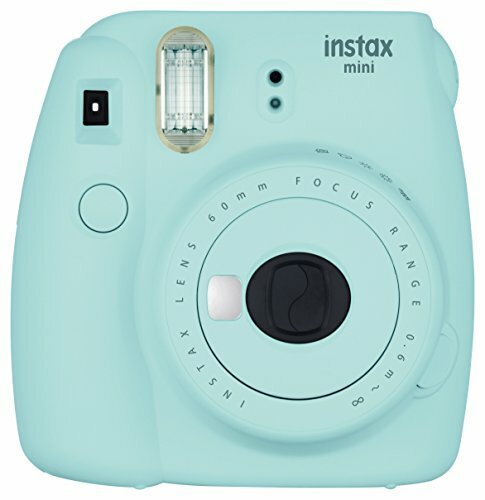 Both cameras are only compatible with Fujifilm Instax Mini film. Both the mini 70 and mini 9 have a 60mm retractable lens. The difference is that the mini 70 has an autofocusing mechanism that changes the distances depending on the mode you are using while the mini 9 has a fixed focus range of 60mm to infinity. You cannot take close up selfie portraits with the mini 9 because it lacks the autofocusing mechanism except you make use of the provided Close-up lens. Both the mini 9 and 70 comes with a similar built-in flash specification. Both flashes can fire up to 2.7 meters and take about 0.2 seconds to recharge. However, on a closer look, we discovered that the flash of the mini 9 always come up with the same intensity no matter the lighting of the environment. While this is great for normal and low light environments, it is a huge minus especially for outdoor use where the light intensity can be high. The mini 70 is quite different. It can read the light intensity of your environment and when the light is okay the flash won’t fire up. You may decide to overrun this default setting manually if you are not OK with it. The flash intensity of the mini 70 can also be controlled when you switch to the selfie mode so that you don’t look all washed out. This ability to control the flash in mini 70 is a huge plus. The mini 9 make use of 2 non-rechargeable standard AA batteries while the mini 70 make use of 2 rechargeable CR2 batteries. You can take around 100 shots with the mini 9 before the battery needs replacement while with the mini 70 you can take up to 400 shots. Ease of use seems to be the language of Fujifilm cameras. Both the mini 70 and 9 are quite easy to use. If you are a newbie, the only problem you might encounter will be in the part of loading your film. If you can overcome this initial problem then you are good to go. One noticeable difference between the mini 70 and mini 9 is the shutter speed the aperture. While the mini 70 has a fixed aperture and a variable shutter speed between 1/2 seconds to 1/400 seconds, the mini 9 has a variable aperture and a fixed shutter speed of 1/60 seconds. While these variations may not mean much to most people, in translation, one can see that the mini 70 is more versatile in poor light condition than the mini 9. Since they both have the same maximum aperture, the mini 70 can take advantage of its variable shutter speed to admit more light into the camera. This allows more light to hit the film. The addition of a tripod mount base to the mini 70 sets it apart from all other previous Fujifilm Instax Mini series including the mini 9. The tripod mount base allows you to mount the camera on a tripod and take full selfies or group photos with friends or family which you’ll like to be part of. The mini 70 is quite portable can be hidden in the pocket of your winter jacket. Superb light and flash blending capability. 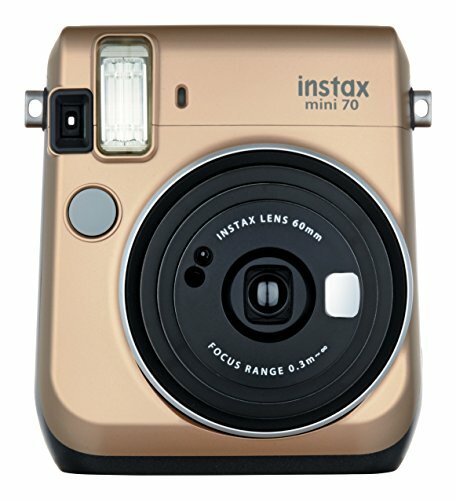 As long as you are not too demanding of the quality of your image the Instax mini 70 might be suitable for you. High-quality image is not a strong feature of Instax mini 70. No way to turn off the flash unless you’re in infinity mode. The mini 9 is quite portable can be hidden in the pocket of your winter jacket. Color Island Blue, Passion Red, Stardust Gold, Midnight Black, Moon White, and Canary Yellow. Cobalt Blue, Ice Blue, Flamingo Pink, and Smoky White. 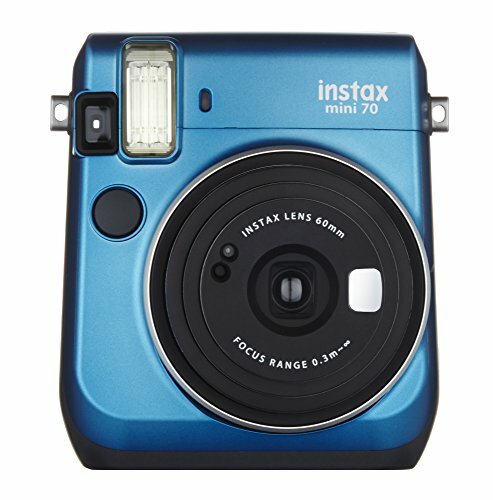 One may expect the price of the mini 70 to be more than the mini 9- and it is – but slightly, since it has more advanced features. If you desire better control and quality instant features then you might want to consider getting the mini 70. Both cameras are still great. Remember that they are not for taking high-quality photos but mainly for fun. Getting either is way better than only having your pictures in digital format – trust me on that.